Please provide an industry standard teleportation script for developers. I am sorry to be critical here but I am very disappointed in the teleportation example provided in the Unity Sample Framework. It is a very outdated example of teleportation and does not represent current best practices in games such as Arizona Sunrise and Robo Recall. 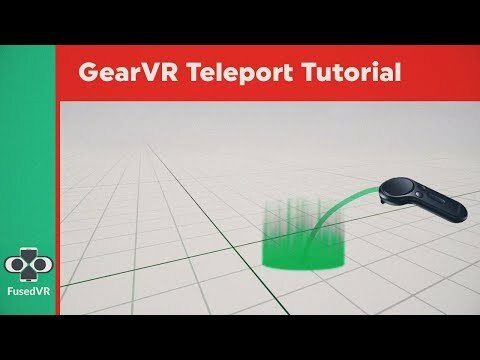 I know I could work through the code and come up with my own, but a search of the internet brings up several examples, tutorials and even code libraries for modern teleportation scripts for the Vive/SteamVR but I can find nothing for the Rift or Touch. Some of these tutorials and code libraries even will work with Oculus but you have to add SteamVR plugin to your project but I don't want to add even more overhead. I would much rather see Unity supporting their developer base and provide code examples for the latest VR standards. I suspect I won't get a reply on this post and that is ok I just needed to vent some frustration. Thank you for the reply imperativity. As I said I am a loyal Oculus developer and I really do just wish to see the platform thrive. Lately I have been seeing more of my developer friends become enamored with the SteamVR platform and I believe some of that comes from the readily available programming support they are getting. I would just like to see a more level playing field that encourages content development for both platforms. Hey @plyrek - I'm a loyal Oculus dev too. I actually work at FB! In my free time, I also build AR/VR/future tech tutorials. I wouldn't say it's "industry-standard" but here's one example of a thoughtful approach to click teleports I built (project and walkthrough). If you have questions, want specific extensions, or are looking for a different mechanic, just let me know and I'll get to work. Happy building! I wish that the same miracle will fall into the hands of the Ue4 Dev community. For those using Unity, a free plug-in called VRTK (admittedly the author has stepped down, but it's open source and there's a very helpful community accessible via Slack, and it's still being updated and bug-fixed). There are plenty of examples for teleportation in there, amongst other neat things. Anyhoo, just a FYI, really.